Beyond Bank Australia is a provider of credit cards, home loans, personal loans, bank accounts, life insurance, home insurance, car insurance, travel insurance, and business banking products. If you’re considering a Beyond Bank Australia credit card, check out what’s available below in our comparison table, based on a monthly spend of $2,000. At the time of writing, Beyond Bank offers one credit card, which is a low rate card. Learn about the different types of credit cards here. A good credit rating free of any unpaid debts or defaults. Assuming you meet the eligibility criteria, you can apply for a Beyond Bank credit card by comparing credit cards on the Canstar website and applying online for the card of your choice on the Beyond Bank website. If you need help to apply, you can call Beyond Bank on 13 25 85 or visit your local branch to complete the process in person. Read our checklist on applying for a credit card for a more detailed explanation of how the process works. 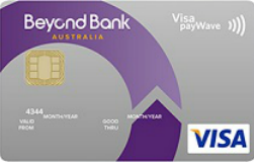 How do I activate my Beyond Bank Australia credit card? Can I manage my Beyond Bank Australia credit card online? You can manage your Beyond Bank credit card using the mobile banking app or through online banking. 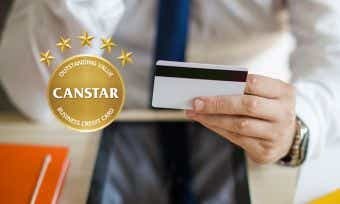 In fact, Beyond Bank’s mobile and online banking platforms have previously won awards from Canstar for providing an outstanding online banking experience. Using online banking, you can do things like check your transaction history, view your balance, see when deposits are made, and more. To access Beyond Bank’s internet banking platform or its mobile app, you will need your member number and password. How is interest calculated on my Beyond Bank Australia credit card? Interest is charged on purchases when you carry a balance on your Beyond Bank Australia credit card. Interest is charged on cash advances from the date of withdrawal. Beyond Bank calculates interest daily by applying the daily percentage rate to that part of the unpaid balance on your account. It then debits this interest monthly on the last day of each statement period. With Beyond Bank’s Low Rate Visa card, up to 62 interest-free days apply to credit card purchases if you have paid the balance in full for the previous month’s statement and for the current month’s statement. For more information about interest-free days, check out our article on how they work. What will my credit limit be on my Beyond Bank Australia credit card? Your credit limit for a Beyond Bank credit card will be determined based on the information you provide in your application, keeping in mind the minimum and maximum credit limit available. Find out more about how credit limits are determined here. The credit limit is the maximum amount of credit you may obtain on the account. You can request to increase or decrease your credit limit with Beyond Bank, noting that Beyond Bank does not guarantee to approve an increase. How do I close my Beyond Bank Australia credit card account? You can close your credit card account at any time by writing a written request and posting it to Beyond Bank, together with the card, which must be returned to Beyond Bank cut in half. Your card balance will need to be repaid in full even after the card is closed. You will continue to receive monthly statements until your card balance is fully repaid. If you are experiencing financial hardship, contact the customer service team to get help in making repayments. Beyond Bank is 100% customer-owned, and in fact is one of Australia’s largest customer-owned banks. Founded almost 60 years ago, Beyond Bank now has over$ 4.7 billion in assets, 200,000 customers, and over 40 branch locations. As well as aiming to exceed the expectations of its customers, Beyond Bank works closely with environmental and not-for-profit organisations to support their initiatives through donations, volunteering, and fundraising. You can compare Beyond Bank’s other products including Beyond Bank home loans and more on the Canstar website. Check out what some of Beyond Bank’s customers have to say about what it means to “go beyond” in the video below, or keep in touch with Beyond Bank on social media. Showing Rewards products in Canstar’s database with links to lenders’ websites. The display is sorted by purchase rate (lowest to highest) for credit cards that offer signup bonuses to consumers for a spend of $5,000 per month. Table only displays five products. Click here to see more. Be sure to read the full terms and conditions of each deal before signing up. Canstar's database lists only one product from this provider. Canstar is not recommending this product nor providing you with financial advice by displaying it to you.